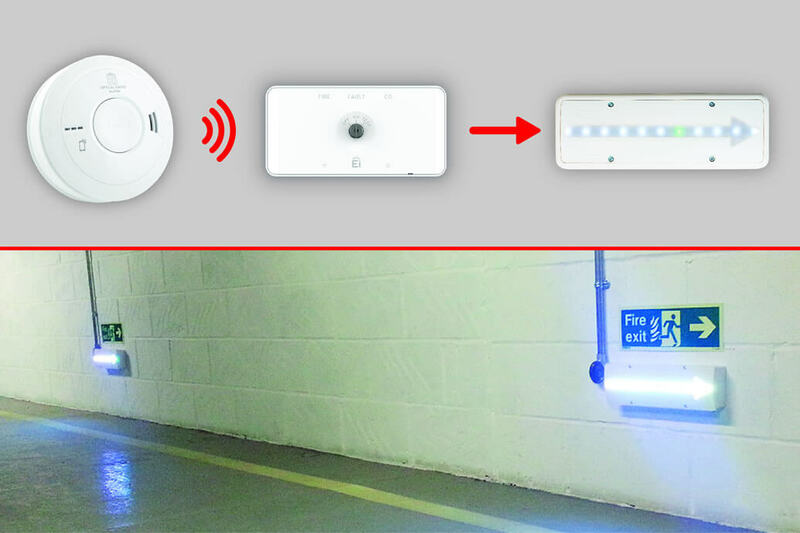 Fire safety start-up company Lite4Life has adopted Aico’s unique Ei414 Fire / Carbon Monoxide (CO) Alarm Interface into its Multiwatch tower block fire safety system and AlightforLife Directional Way Finder Safety Light. The Ei414 is being used to alert these systems in the event of an activation from Aico Fire and CO Alarms. In the case of AlightforLife it activates LEDS pointing to the nearest exit. Andy Cunningham, Managing Director of Lite4Life, selected the Ei414 based on its ability and Aico’s reputation in the marketplace: “It is so much more user friendly than anything else on the market. We are finding that using the Ei414 to send messages and signals to report on alarm status at the earliest opportunity gives us valuable minutes in the protection of people and property from a potential devastating fire. The recent Hackitt report for High Risk Residential Buildings (HRRB), recommends that high risk buildings are to be managed and our product, using the Ei414, can provide the solution for many of the points identified by Dame Judith Hackitt. We at Lite4life, feel it archaic to rely on a member of the public to notify the fire rescue services, often after the fire has been alight for some time. A fundamental change must be highlighted in the way we can approach fire protection in high rise residential buildings and Aico go a long way in supporting our vision. Aico, an Ei company, is the market leader in residential fire and CO protection in the UK. All alarms are designed and built in Ireland specifically to meet the UK standards and regulations. For more information please visit www.aico.co.uk or contact Aico on 01691 664100 or email enquiries@aico.co.uk.